Rikki-lee grew up on a farm in Dubbo and that’s where her love of animals started. After working in all different industries, Rikki-lee decided she needed to work with animals and started at Animal Emergency Services in Carrara as a Nursing Assistant in her last year of study. 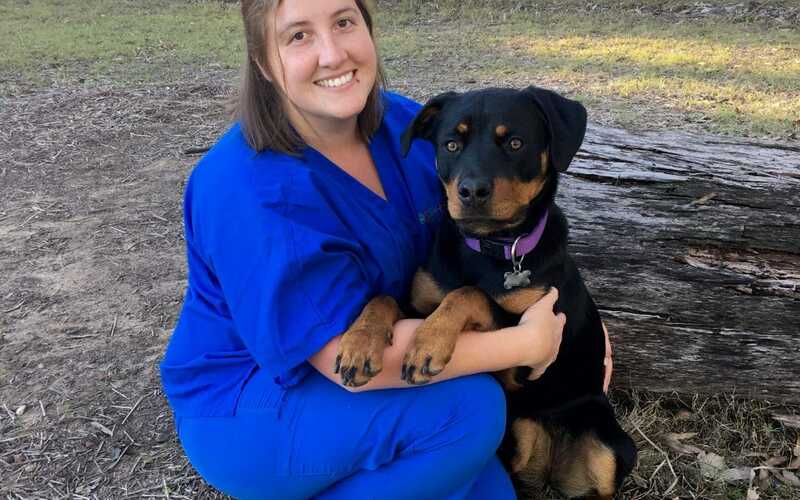 Rikki-lee has a 6-month-old kitten named Dimitri, who was found at 3-weeks-old and brought into AES for hand raising, and an 8-month-old Rottweiler named Sadie, who Rikki-lee adopted from a vet clinic where she had been surrendered after sustaining a fracture to her hind leg.